Designer Skin SAHARA 30 X Bronzer -13.5 oz. 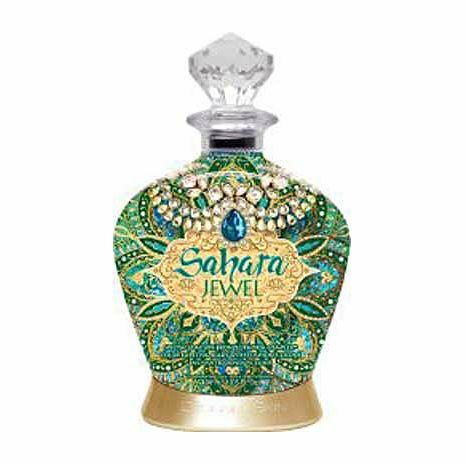 HomeTanning Lotion BrandsDesigner SkinDesigner Skin SAHARA JEWEL 30 X Bronzer -13.5 oz. 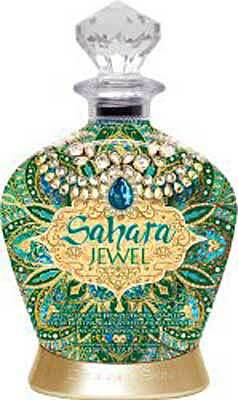 Designer Skin SAHARA JEWEL 30 X Bronzer -13.5 oz. Discover a whole new brilliance with Color Bursting Beads for instant, ravishing dark color, while Cushion Silicone drapes skin in a feeling of pure extravagance. Enriched with splendor and mystique, the magic within is waiting to be released! Pro Tan INK Tattoo Fade Stick - 0.6 oz. Designer Skin STARDOM 60 X Indoor Tanning Bronzer -13.5 oz. Designer Skin MISS DESIGNER 55 X Triple Bronzer - 13.5 oz. Designer Skin ELUSIVE 50 X Melanin Activated Bronzing -13.5 oz. Designer Skin BLACK DALIA FLOURISH 45 X Matrix - 13.5 oz. Designer Skin BLACK ROSE FLEUR 40 X Tanning Bronzer -13.5 oz. Designer Skin BLACK LEGACY 35 X Solar Peptides -13.5 oz. Designer Skin FASCINATE Tanning Bronzer 27 X Stunning Dark - 13.5 oz. Designer Skin LUMINARY 25 X Black Optimized Bronzer - 13.5 oz. Ultimate Face Facial Bronzer tanning lotion - 2 oz. Australian Gold Almost Famous Bronzer - PACKET - 0.5 oz. Designer Skin BITTERSWEET Tan Extender - 16.0 oz. Australian Gold WHITE PEACH & HIBISCUS PACKET - 0.34 oz. Australian Gold TROUBLE MAKER 25 X Bronze PACKET - 0.5 oz. California Tan CT COAST INTENSIFIER Step 1 - 8.0 oz. Swedish Beauty BLOOM SERVICE Natural Bronzer - 7.0 oz.